Is There a Way to Incorporate More Healthy Options on My Holiday Table? Truthfully, sometimes our holidays feel heavy, both in terms of the food, the family drama, and the pressure to create a perfect celebration. You want to create beautiful memories for your family and friends, but feel obligated to use the same recipes year after year as a way of honoring your traditions. And if you’re honest with yourself, your body doesn’t always feel good after holiday meals. It often disrupts your eating routines, and you sometimes wonder if poor health or weight gain is the price to pay for engagement in Jewish life. You’d love to be able to start your own healthy holiday traditions in a simple, effortless way—and even celebrate more Jewish holidays than you already are—but you’re not confident you can do it on your own and haven’t found any resources that inspire you to get started. Jewish Food Hero is here to help. The Jewish Food Hero Cookbook was created for all of us. 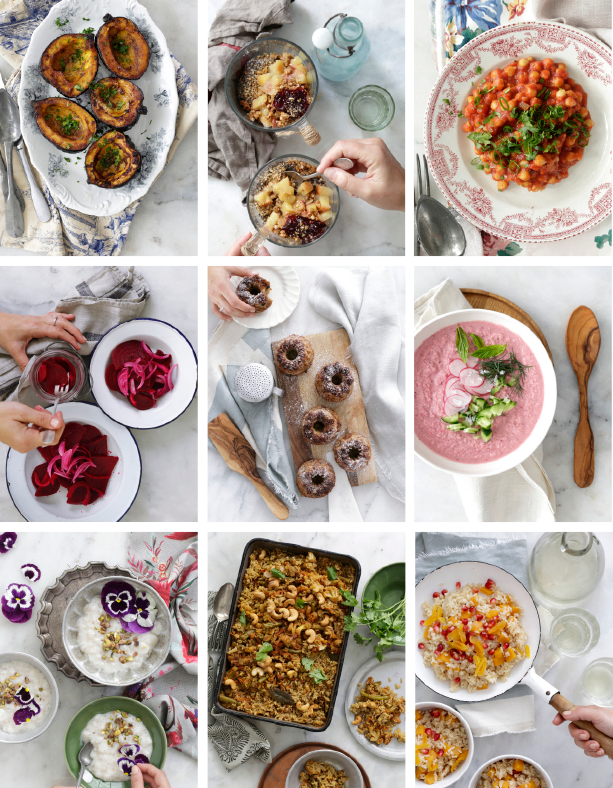 It’s a digital cookbook with 50 simple plant-based recipes for your holiday meals. The recipes are designed to inspire you to honor your traditions AND add healthy food to the holiday table. You’ll be able to serve healthy food not as an obligation, but from a place of knowledge and confidence. The more healthy food you add to the table, the less room there is for food that’s unhealthy. It’s possible for you and your family to truly feel healthy, nourished, and energized on the holidays. Along with a panel of recipe testers, I’ve cooked and served every recipe in this cookbook at my holiday tables. The ingredients and instructions were created to be as simple as possible and are accessible to meat-eaters and vegans, alike! All the ingredients that are called for in the menus are kosher pareve. The recipes align with what we know about the benefits of plant-based food, and pull from our traditional and symbolic dishes for each particular holiday. It’s the pairing of both traditional and modern, healthy food that will create the most authentic, vivid, and special celebration. I’m confident you’re going to love the Jewish Food Hero Cookbook as much as my family does. 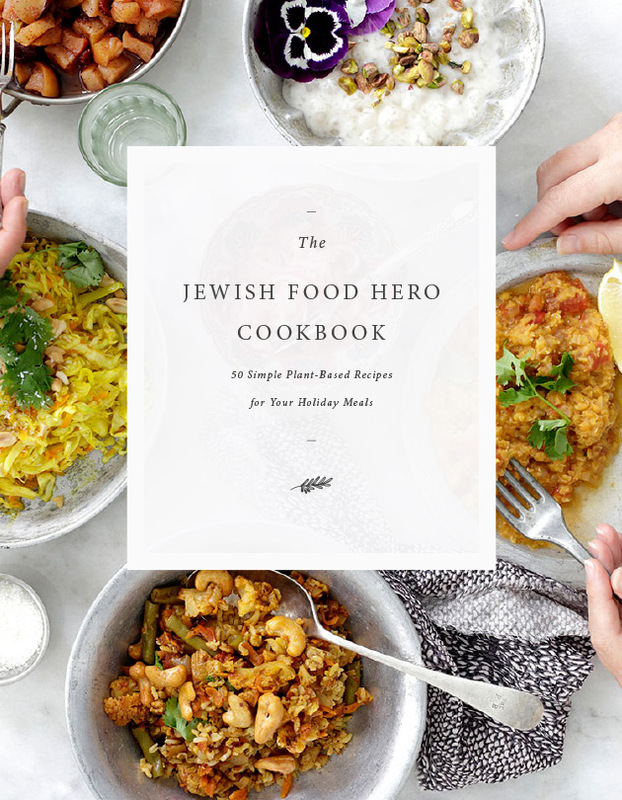 What Does the Jewish Food Hero Cookbook Offer? The cookbook contains 50 simple, healthy recipes for the 10 major Jewish holidays that are kosher pareve and plant centered. Every holiday menu includes at least one recipe that can be made with children’s help—frequently the dessert! · With the organization of holiday menus and time-saving recipes, the Jewish Food Hero Cookbook makes your holiday planning simple! Remember: Eating healthier for the holidays doesn’t have to be an all-or-nothing approach. I’d like to purchase this cookbook. Is that possible? Yes! This cookbook will be published in 2018. You can sign up here to receive updates on when it will be published. I’d like to purchase this as a gift. Is that possible? Yes once it is published, you can pay with Paypal. What if I don’t want to cook every recipe in the holiday menu? That’s absolutely fine! My goal is to support you in increasing the health at your holiday table. You may choose to cook pick one or two recipes to use from each holiday menu. Follow what looks interesting or inspiring to you! Yes, all the recipes and ingredients included in this cookbook are kosher pareve. Can I share this cookbook with my friends or family? 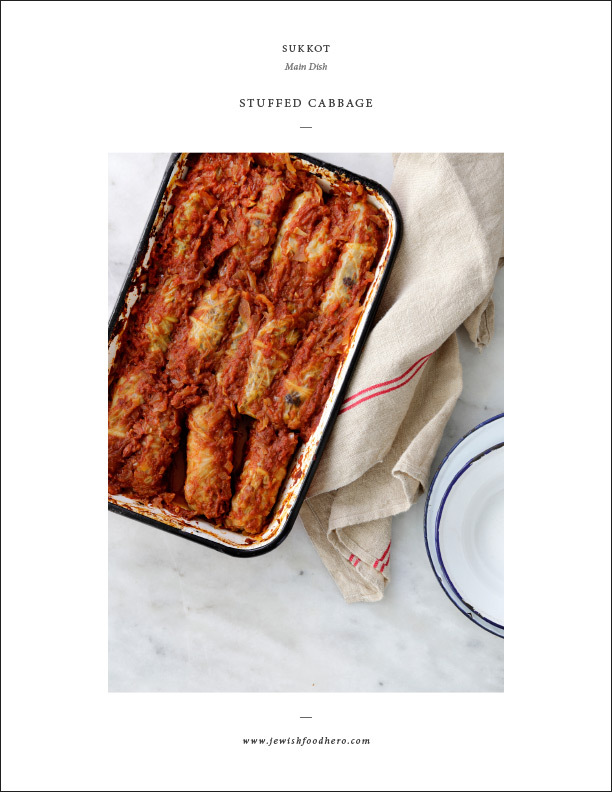 You are welcome to buy multiple copies of this cookbook for your friends and family as a gift. The cookbook will be published in hard copy and digital formats in 2018. 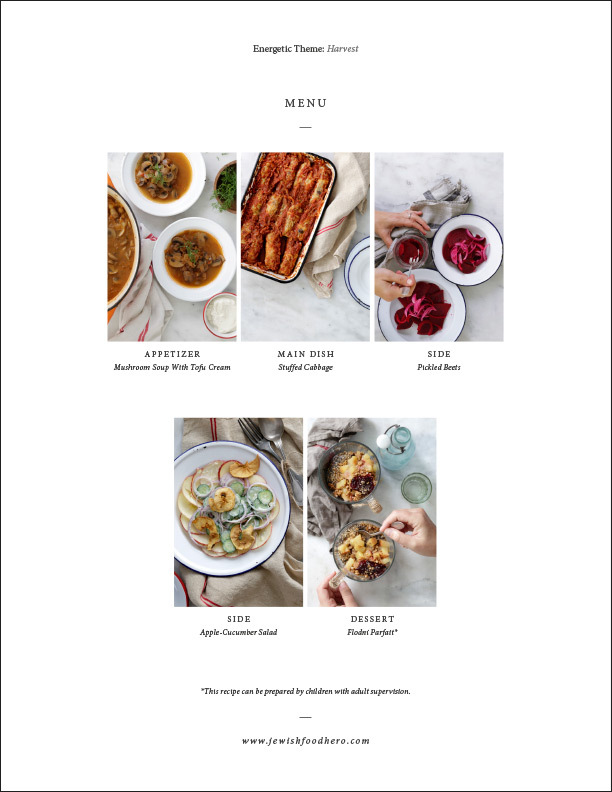 Sign up here for updates on the cookbook. How exactly is this easier than just planning my holiday menu on the fly? We all know how planning holiday meals at the last minute goes—you feel anxious, stressed, and overwhelmed. I’ve found this causes two problems: 1) you aren’t able to make decisions that support your health; or 2) you go with the default recipes you’ve been making for years. Either way, you’re unsatisfied. This cookbook is the solution to that phenomenon, and allows you to start planning three to four weeks in advance! How is this easier than just finding recipes online? While it’s true that there are plenty of holiday recipes online, there are not many healthy options that also incorporate new, modern flavors and what we now know about optimal health. So I’m confident that the time and energy you’ll save is well worth the cost of this cookbook. Plus, exploring these recipes will allow you to introduce new, healthy options to your holiday table, for which your guests will thank you. Will it be difficult to find the ingredients included in the recipes? I developed and tested these recipes from rural Cambodia, so if I could get access to these ingredients, I’m confident you can too! It was my intention to include common ingredients that you can find at a typical grocery store (not just the Whole Foods or exclusive health food stores). Feel free to give the cookbook a try and if the ingredients are too uncommon for you to locate, I’d be happy to let you return the cookbook within 30 days and refund your money. How many servings do the recipes offer? All recipes are made for eight people (and if you make all the recipes in each holiday menu, you’ll have plenty of leftovers!). 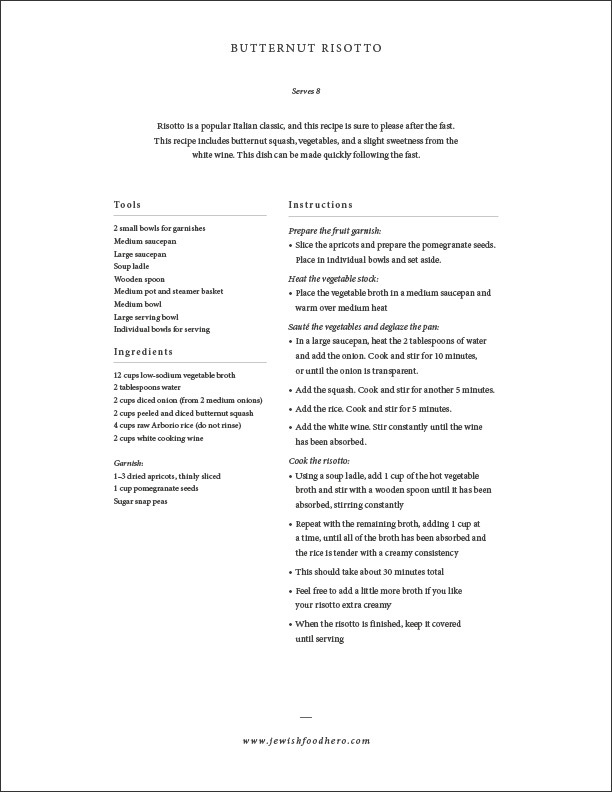 I’ve offered suggestions for doubling certain recipes depending on your number of guests. How many pages does the cookbook have? 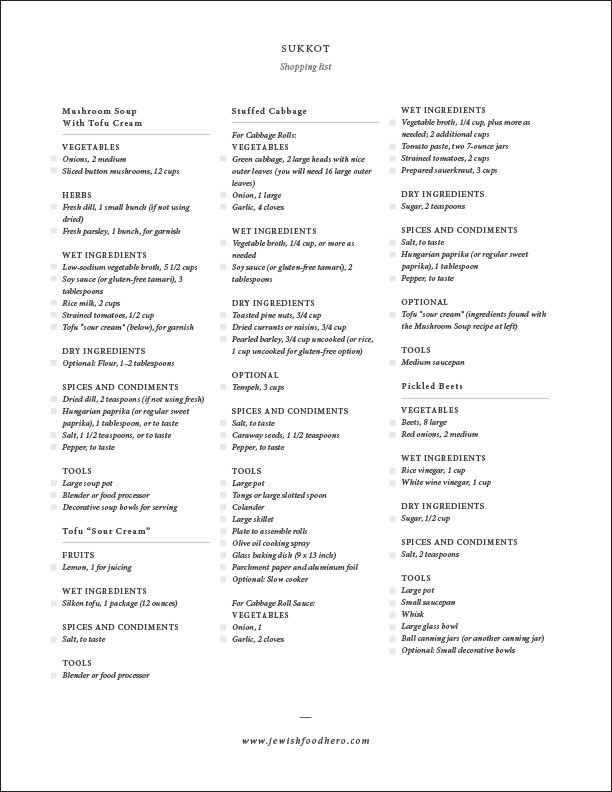 There are 161 pages in the cookbook, and then 29 for the shopping lists. 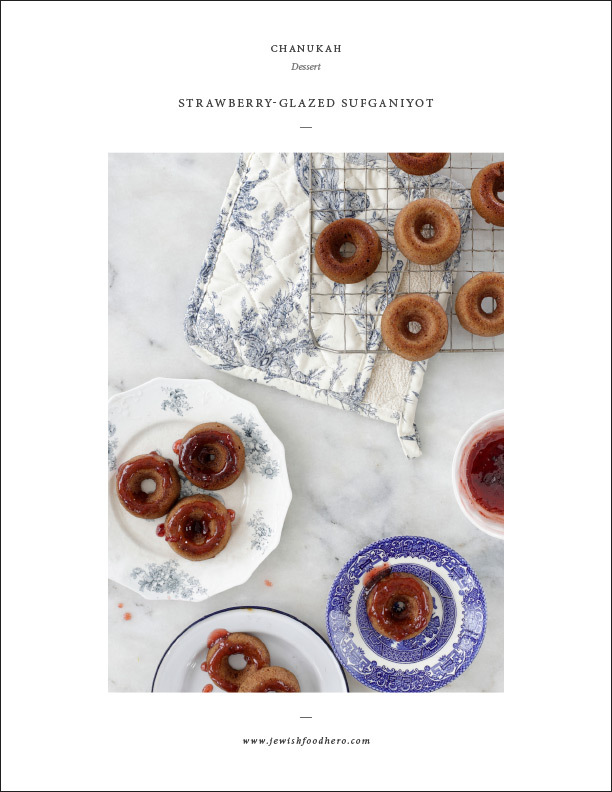 Yes, a print version of the cookbook will be available in 2018. Sign up here for updates on the cookbook. How do I get my cookbook on my iPad? Install the iBooks app and simply click the link given to you during checkout! It might take a couple minutes to download as the cookbook is a large file. Once it’s fully loaded, you can tap the cookbook PDF cover once and there will be a bar at the top that says “open in iBooks.” Clicking that should add the cookbook to your library! 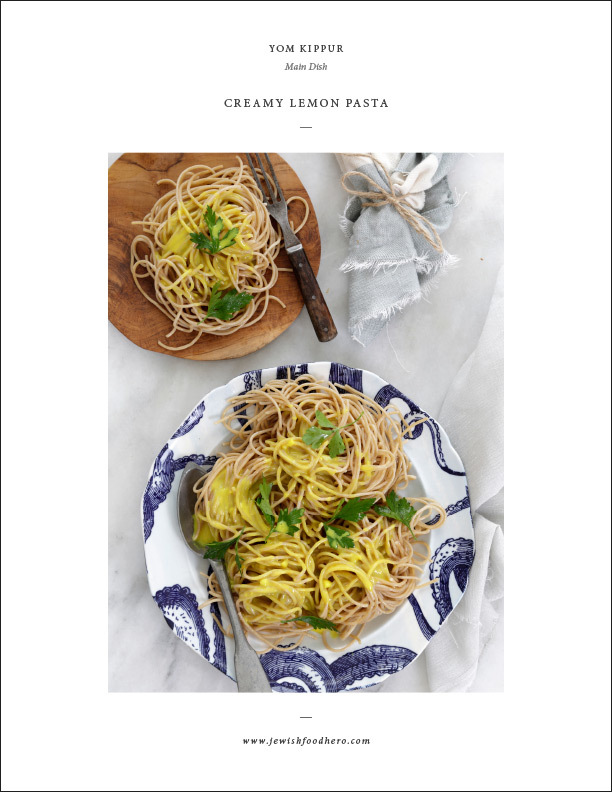 Alternatively, you can download the cookbook to your computer, add it to your library, and sync your iPad with your computer. Do you have another question that wasn’t answered here? Send me an email here. I’d love to hear from you! The Jewish Food Hero Cookbook will be published in hard copy and digital formats in 2018. Sign up here for updates on the cookbook. More questions about the cookbook? Send an email to hello@jewishfoodhero.com.